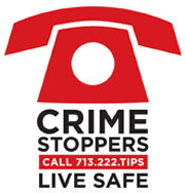 On Saturday, January 12, 2019, the complainant had just pulled into her apartment complex, located at 9955 Buffalo Speedway, in Houston, Texas and parked her vehicle. The complainant stated that two black males approached her vehicle and both had their faces covered with t-shirts. The complainant stated that one of the males grabbed her by the arm and forced her out of the vehicle and then demanded her purse. The complainant complied with the suspects, at which time they grabbed her keys from her hand and then left the location in her vehicle. Suspect description: Suspect #1: Black male, 16 to 19 years old, 5’8 to 6’, 130 to 140 pounds, black hair and dark complexion. Suspect #2: Black male, 16 to 19 years old, 5’8 to 6’, 130 to 140 pounds and dark complexion.